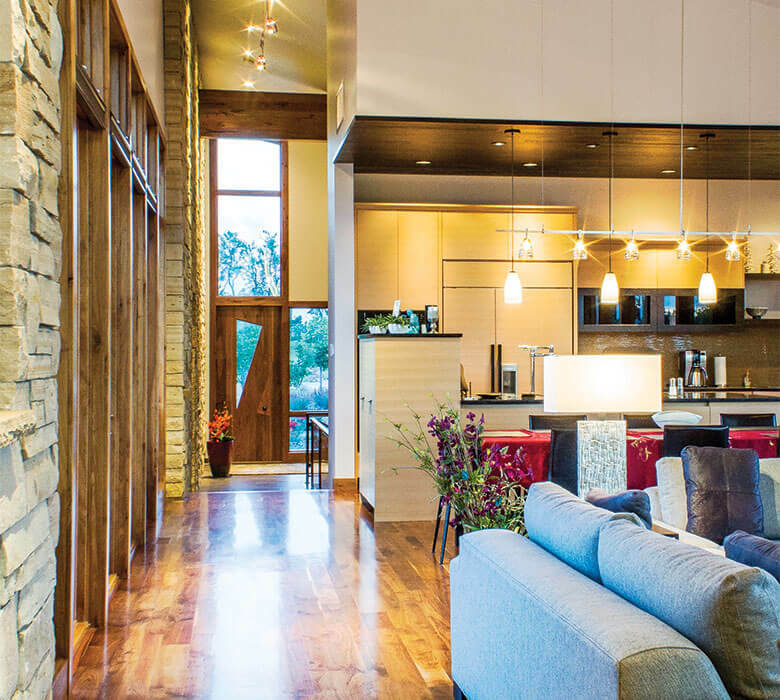 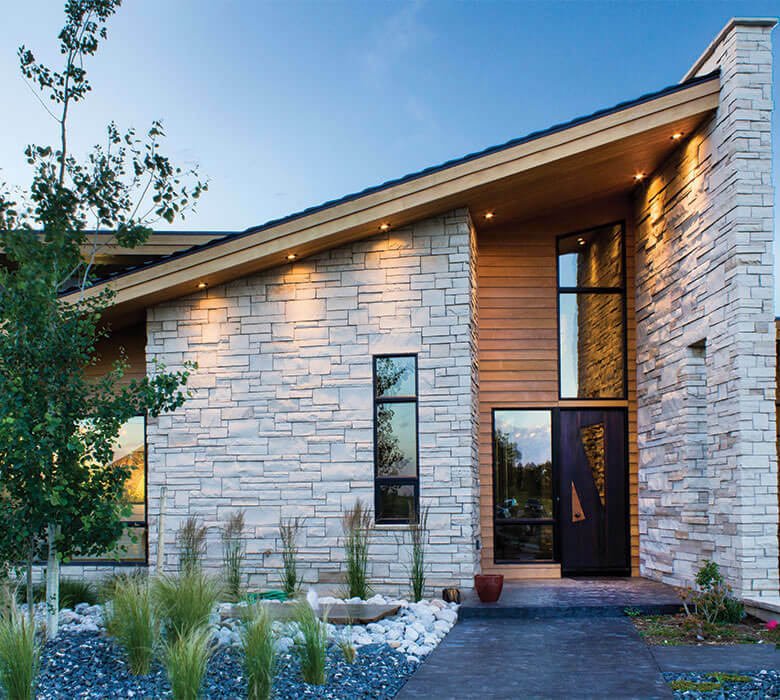 Architect: Brad Tomecek, AIA of Studio H:T | Builder: Tim Krueger | Distributor: Colorado Sash and Door Inc. 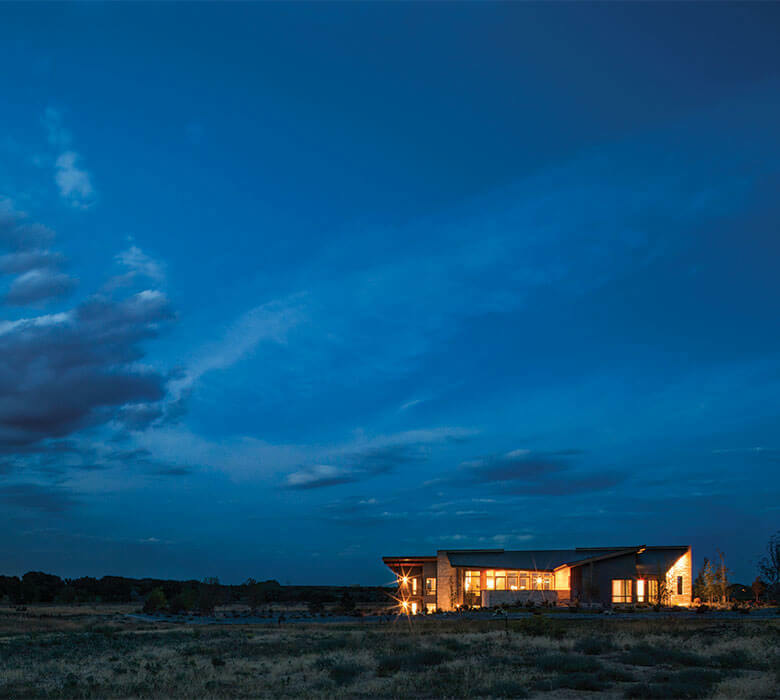 Architect Brad Tomecek designed this house to view the vast landscape and Long's Peak, while reinterpreting traditional materials. 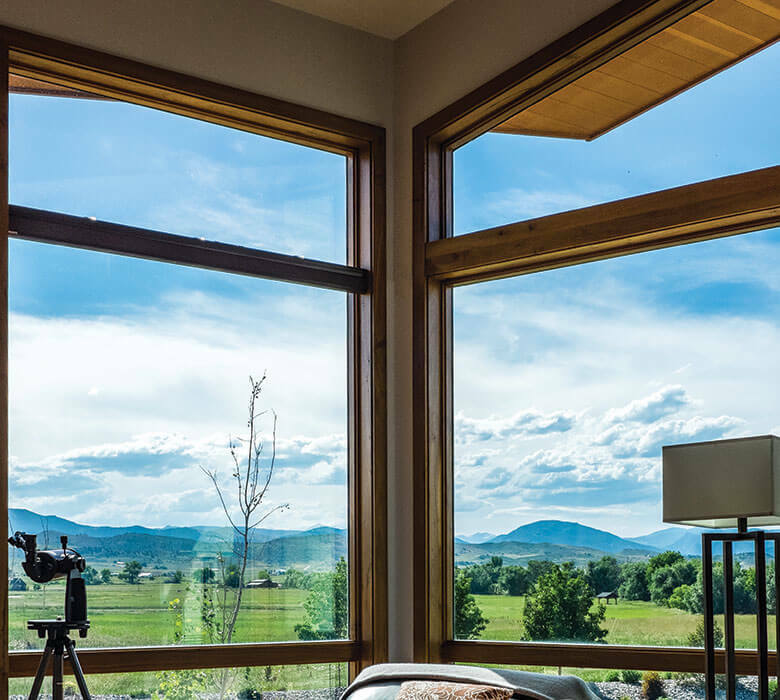 Ultra Series ogee direct sets, casements, awnings and geometric windows throughout the home frame this site's dramatic natural beauty. 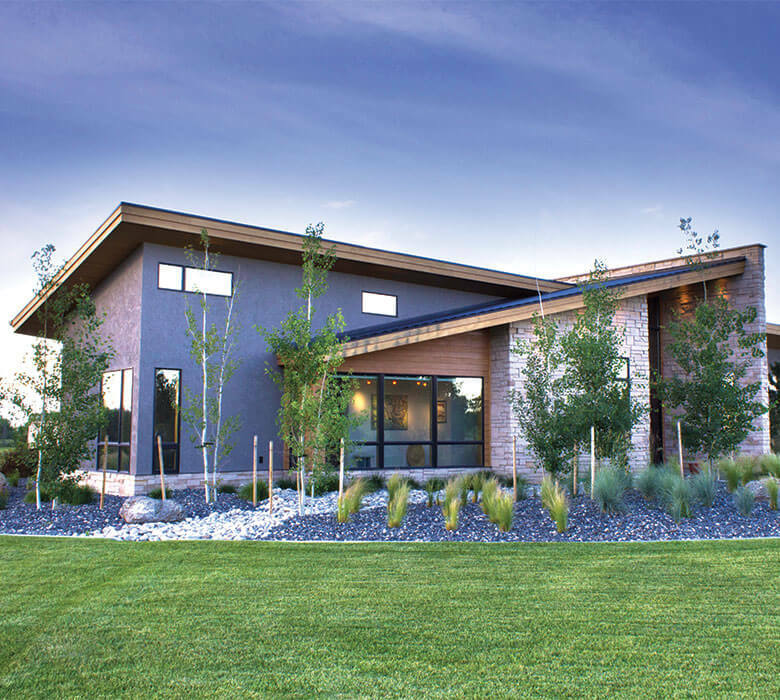 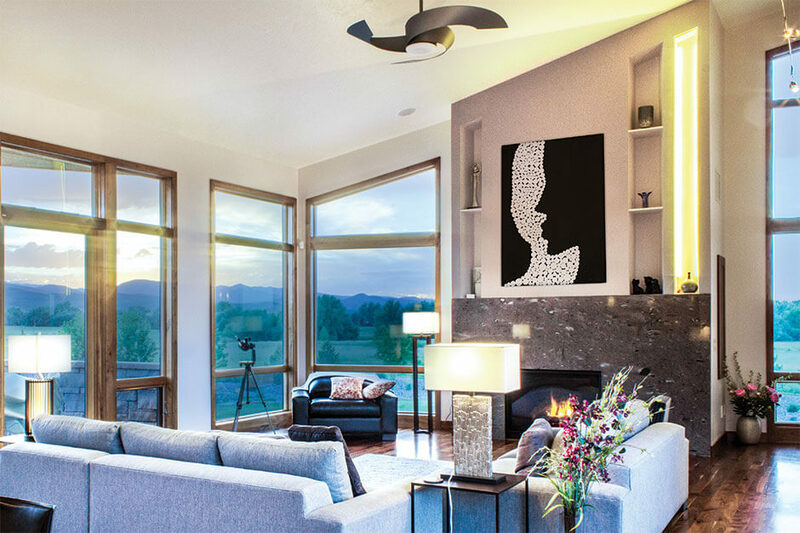 My goal was to connect the heart of this home to its site through a series of indoor/outdoor spaces: the Sunrise Court takes advantage of early morning lakeside views, while the Sunset Court accentuates the power of the Rocky Mountains. 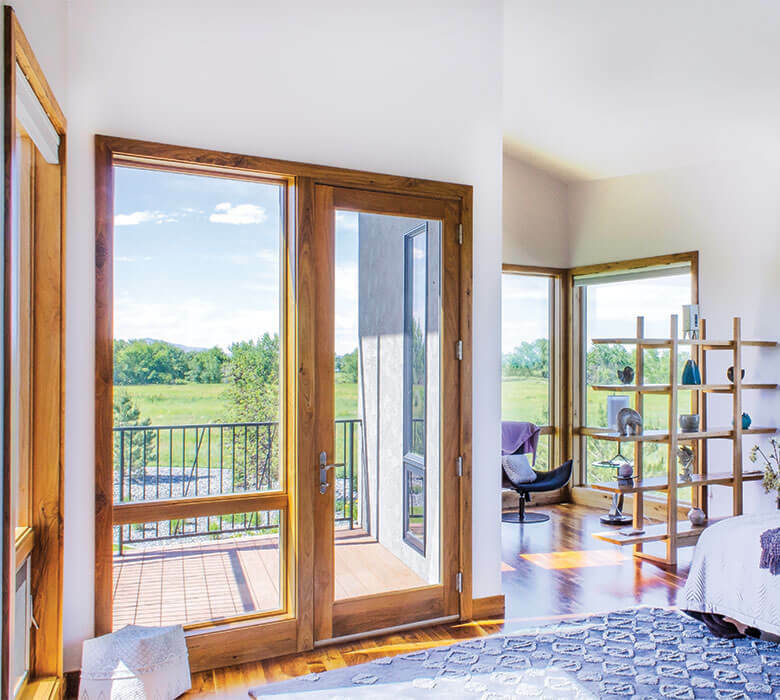 Only Kolbe had the windows and doors to seamlessly merge indoor and outdoor space.